shape of news. 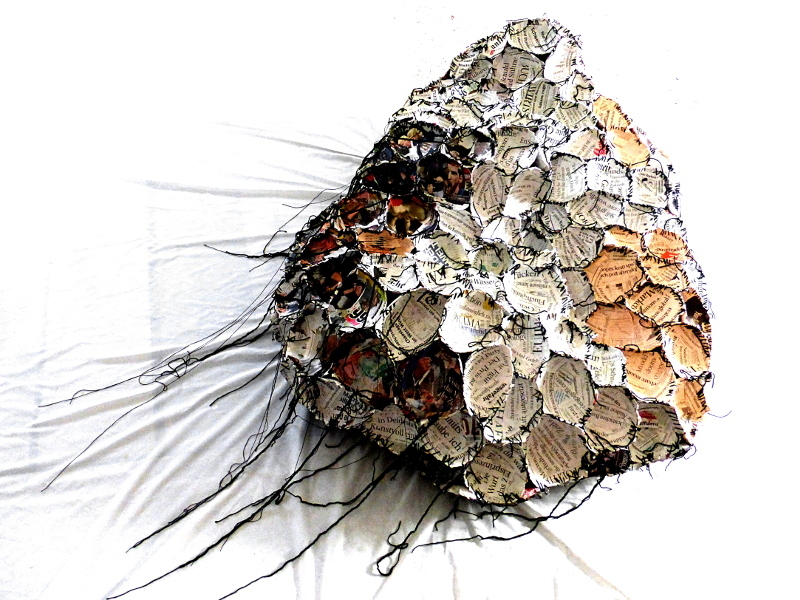 sculpture from newspaper, wallpaper glue and yarn. 150 x 100 x 50 cm. The Künstlervereinigung Dachau invited me to participate in this years exhibition at the Palace Dachau. The topic: 2 x 2 m – the large format. To comply with the size I made lots and lots of bowls from newspapers such as Financial Times or Frankfurter Allgemeine. 251 of news containers were needed to cover a 2 x 2 m space. I stitched them together to make one form. 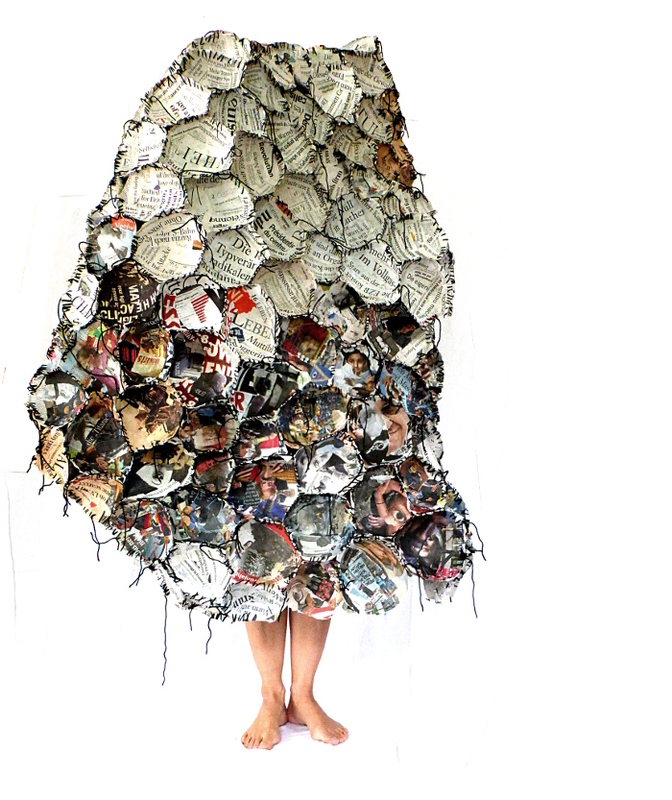 It will be exhibited together with pieces from 20 other artists at the Dachau Palace from August 6 to September 3. 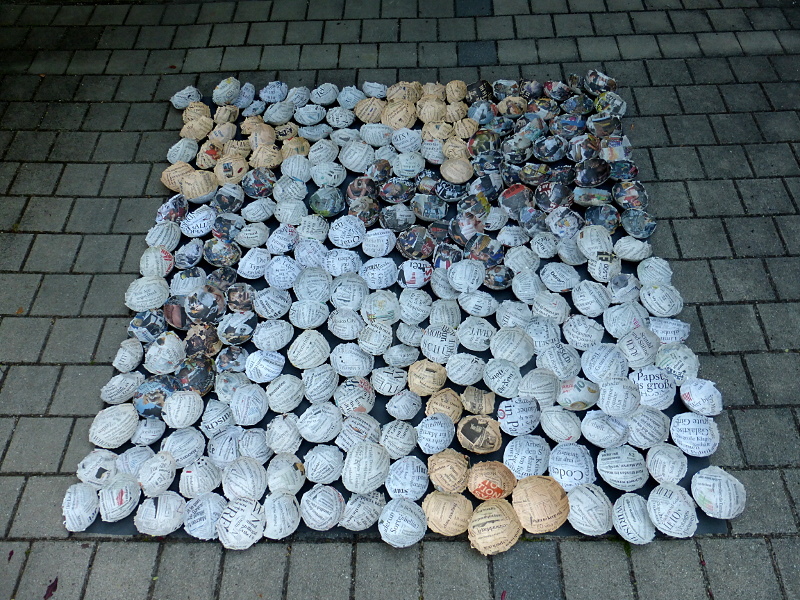 251 newspaper bowls covering 2 x 2 m.
self with shape of news.